All over the Blueridge/Seymour Heights neighbourhood, strange signs have sprouted from the ground. In addition, adults and children have been seen wearing bright yellow pinnies, picking up litter and recyclables from the sides of roads. “What is going on?” you ask. Well, these are families, individuals and groups who have come together to “adopt” their street. What is the Adopt-a-street program? “The Adopt a Street Program was created from a desire to work together with community members to keep our roadside areas litter and trash free. Community members can adopt a street that they are then responsible for keeping clean. By adopting a street you agree to pick up litter at least once a month, or as needed, and to report vandalism and graffiti to the Community Beautification Coordinator. Are you interested in Adopting your street? 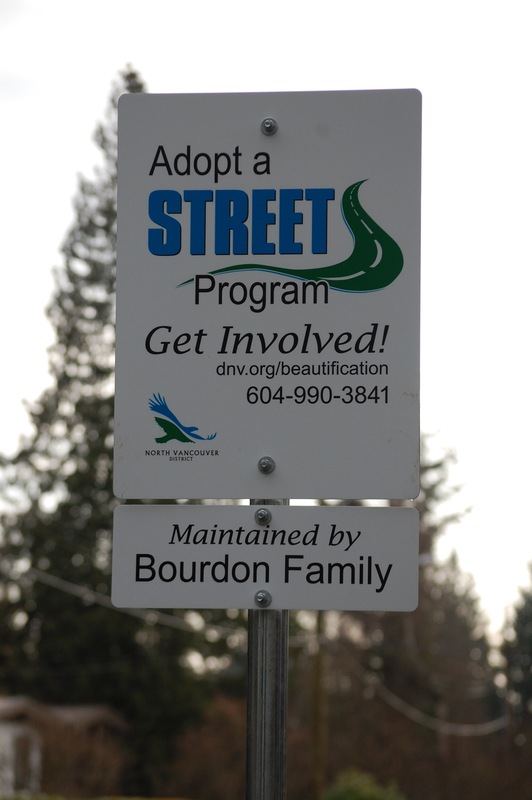 For more info, check out the District of North Van’s “Adopt a Street” webpage.